And that must mean there is racing to be done this weekend!!! Yip Yip!!! In a few short hours, I will be heading to DU to swim the 1650, a race I love to hate. I know what this race is going to bring (i.e. pain) but I am also pretty excited to see if I can bring home a new PR. I keep reminding myself, the first 100. The first 100......not to give away all my "secrets" but really, that first 100 can be a deal maker or breaker. And to top it off, I get to watch (and count for) PIC in her first swim meet EVAH!!! This is gonna be fun. Of course, I can't just do one event this weekend, so on Sunday I will head over to Littleton and run in the Platte River Half Marathon. Once again, hoping that I bring home a new PR in this one. We will see.....it's been a kind of train-through week and I am really not rested. At all. But I will go for it (per my instructions from Coach CV) and see what the day brings. The last time I attempted this race I didn't even get to the starting line due to a severe case of salmonella poisoning. So, I will not be baking this weekend, or eating any sort of raw cookie dough or cake batter. I will not eat sushi or undercooked meats of any sort. There will be no buffets. I will get to the start line! 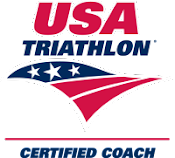 And, since it is spring, I can't help but get giddy at the fact that my first TRI is just around the corner....4 weeks and counting. Whoop Whoop! The season is here, it is sooooo on! You rocked the house tonight. I'm so fricking lucky that I get to train with you every day. Nice work FordyFord!